By: Leo Manson Categories: ECigarette Academy 1 great comment - add yours! 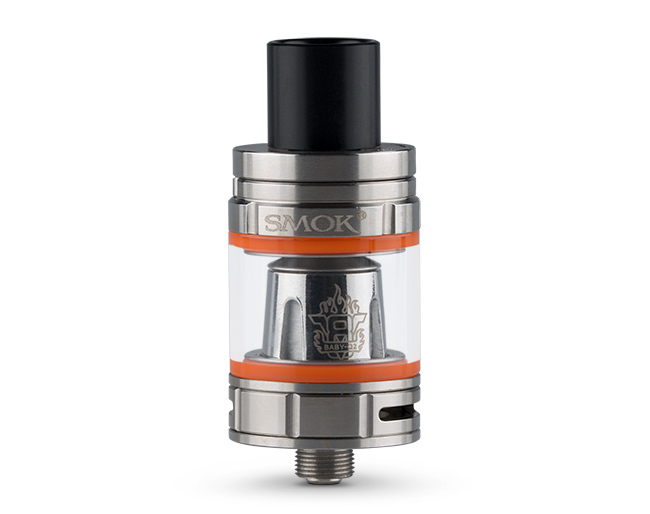 The Smok TFV8 Baby is a good fit for cloud chasers and flavour chasers. Even at the lower wattage range it produces thick, dense cloud, whilst maintaining excellent flavour. It is quite thirsty with the liquid, although due to its twist cap, topping up on the go is super easy. Who’s it for: Intermediate to advanced vapers. Note: Build quality is on initial impressions and drop tests only, as it can take months to get a true impression. 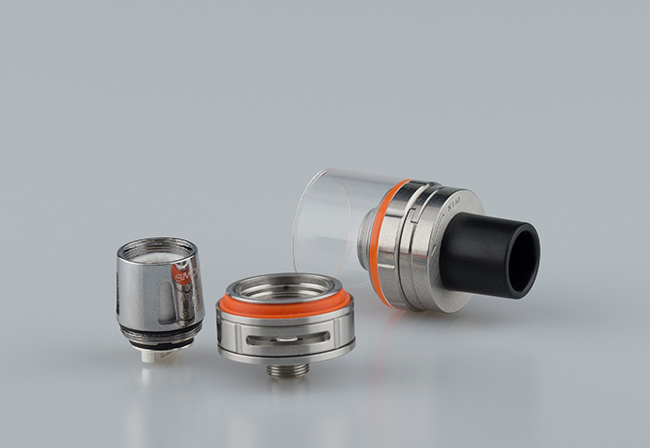 Upon purchase you will find that a 0.4ohm V8 Baby Q2 coil is pre installed. On the side of the coil you will see that it tells you the wattage range, as well as a ‘best’ recommended wattage range. The full range is 40-80w and the recommended is 55-65w. Running the tank in this range will ensure excellent flavour and vapour production, whilst getting the full life expectancy out of the coils. You will also receive a spare 0.15ohm V8 Baby T8 coil. 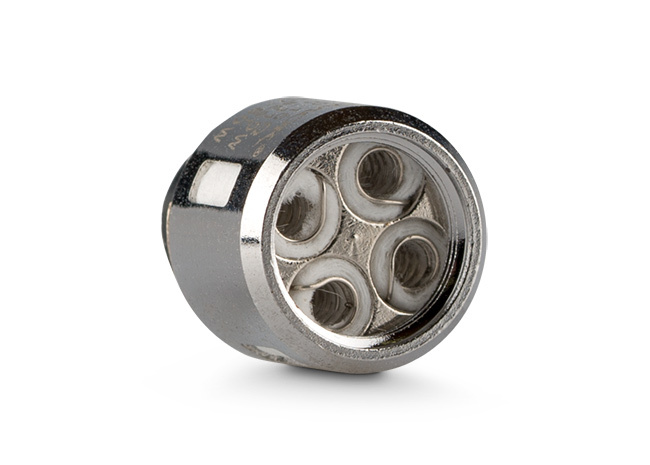 This coil is more powerful and therefore has a higher wattage range. The full range is 50-110w and the recommended is 60-80w. 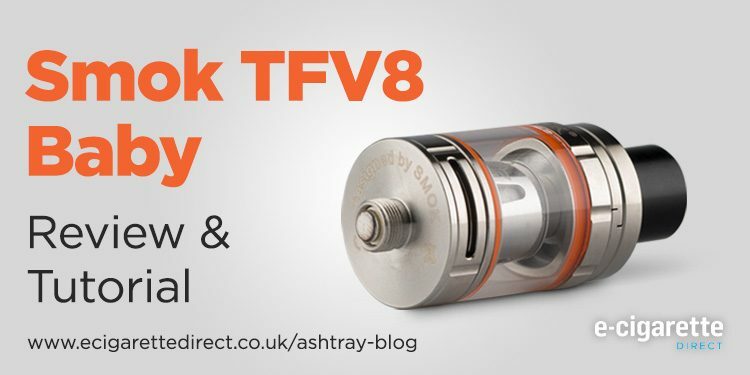 How do you fill the TFV8? The tank has a hinge and lock top fill system to make filling your tank up easier and more convenient. Look for the line with the word open on the top of the tank. Whilst holding the tank firmly, push the top cap anticlockwise along the line until the hinge door opens. Fill the tank through the slot at the side, ensuring you don’t get any down the central hole. The rubber seal that sits under the fill cap can sometimes become raised which stops the fill cap from closing. If you have problems re seating the rubber seal, remove it from the top of the tank tank and push it back in place evenly on both sides with your finger. How Do you Change the Coils? First, unscrew the top cap from the tank and remove the glass from the base. Now you can unscrew the old coil, disposing of it ready to install the new coil. With your new coil, simply thread it clockwise into the base until it’s finger tight. Now place the glass back over your newly installed coil, ensuring that it is sat flush with the base. Screw your top cap back on so the tank is one piece again. 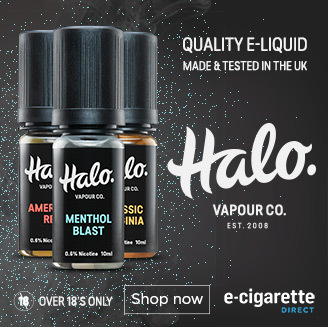 It is now ready for you to top up with E-liquid. How do you prime the coils? As with all powerful tanks, it’s a good idea to prime the coil before using. On the side of the coil are windows through which you can see the cotton. Add a few drops of e-liquid onto the cotton through the windows, and also through the top of the coil. The aim is to saturate the cotton before use. When you have added a new coil, leave the tank standing upright for at least 10-15 minutes. Combined with with the priming, this should help you avoid a burnt coil and extend the life of your coil. For more tips and tricks see 7 Easy Ways To Avoid A Burnt Coil. How do you use the Smok TFV8 Baby airflow controls? 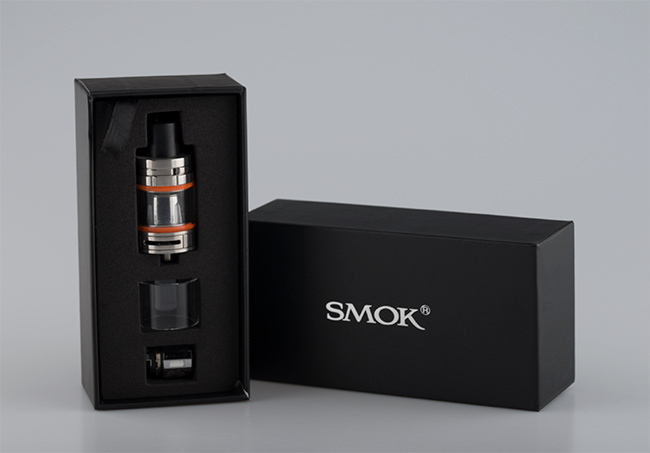 The Smok TFV8 Baby comes with two, wide bottom airflow controls. You can twist these from completely open to fully closed, though you will probably find it too tight with the controls closed completely. 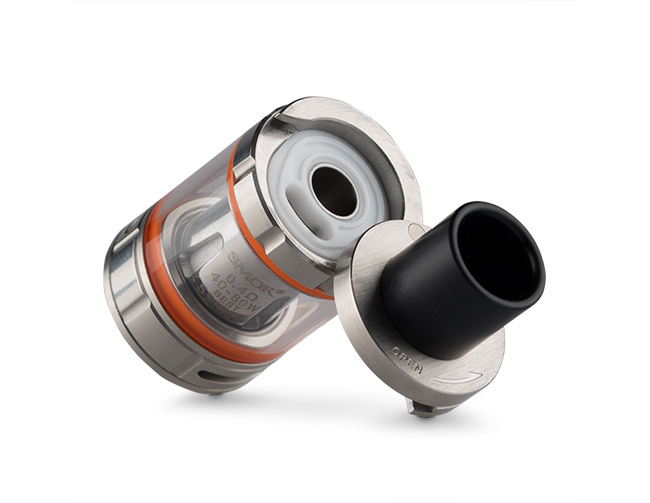 As with all tanks, twist the airflow controls for a light air vape with plenty of vapour, and close for a tighter draw with more flavour.